Will The Pyramids Stand Forever? Aunt Helen's Herb Garden located in Storrowton Village on the Big E exposition grounds in West Springfield will be hosting a tour of the garden. There is no cost to get in. The garden itself is a full of many types of useful herbs arranged in a way that the average layman can better understand. The plot is considered a 'teaching garden'. The tour will explain many of the different uses of the various herbs as well as demonstrations. Time is from 10AM to 1PM. has a say in the matter. Last year when everybody was jumping up in down in joy because Momar Qaddafi was deposed and killed I stated openly this is not a good thing. Now the chaos of the Islamic Spring has spread to Egypt and other parts of the Middle East. I predict again right now that the devil we are going to have now is going to be far worse than what had before. This will be evident politically and in other venues. We have blindly and stupidly supported a step toward what may be the nuclear annihilation of Jerusalem or New Delhi. I am not joking or being a sensationalist here. It is my honest level-minded thinking on this subject. I'm not trying to be a Islamophobe here, but of all the major religions they have the poorest control over their radicals. I believe that a large percentage of their population enjoys their bad boy image at the very least. Now why am I saying this and how is this connected to historical matters? 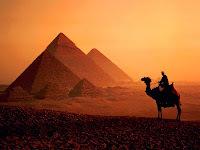 Well, now that the Muslim Brotherhood has taken control of at least some of the Egyptian government calls are coming in to destroy the Pyramids. Yes, the Pyramids. Now don't sit there and say, oh that is just anti-Islamic propaganda or just some nutcase spouting off. True, caliphate-oriented Islamists have no country other than Islam. Historical monuments dedicated to what nationality or religion they used to be are not only open game but endangered targets of destruction. The destruction of the Library of Alexandria was concluded under Islamic control as was the attempted de-facing of the Sphinx. More recently and pretty much case in point of the major possibility of this happening was the destruction of the giant Buddha in Afghanistan and the destruction of Mali artifacts in Timbuktu. Now I have worked with people who follow Islam. I am not condemning them all here. They are normal folk, but these things are happening in the name of their religion. If it is perfectly fine to taint me for every sin committed by a Catholic, thus the same are they tainted. Yes, it is wrong, but it is a sad fact of life. And in the evidence of fairness, yes, we as Catholics have done some very rotten things in the name of our religion. There is a big however here. I would say as a whole we have moved on from the days of the Conquistadors. They have not. The destruction of the Pyramids would be a sin against history and humanity. I will say that in the same vein that the destruction of Mecca would be just as evil. History and archeology are tools to learn about our past. They tell our story as humans on this Earth. We must always know and remember where we strode, the struggles we faced, to gain insight in how to overcome those obstacles again when we face them again. I hope, beyond hope, that there are enough clear-headed Egyptians to prevent the destruction of their past. When I read opinion articles I honestly do try to read both sides of the argument. I won't always agree with one side, but usually I make the attempt. I do this from the counsel of Sun Tzu who stated, "If you know the enemy and know yourself you need not fear the results of a hundred battles." So it is good to know the thinking of those you disagree with. With this in mind every now and then an article comes along which goes beyond the effect of making me angry and I just have to roll my eyes back and laugh with an occasional sneer of contempt. Listening to NPR or reading The Daily Beast usually accomplishes this quite well. 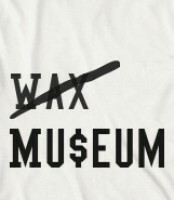 So what I have today is an article from The Daily Beast concerning a trend in museums to make the attempt to level out their budgets. The article was the snippy, highly comedic, liberal response to this trend. The author of the piece, Blake Gopnik, was in a real snit over this. The flashpoint which he noted was the changing of the guard at the Los Angeles Museum of Contemporary Art. He basically likened this trend into turning The Met into your local Burger King or the Nazi takeover over of the Wiemar Republic. He laments the move away from typical Ivory Tower views on art. By that I mean the real art snob views where art is on majestic left-wing pedestals where there is only 'their vision of what is art and what it is not'. Which honestly is pretty funny with all the utter crap they hold up and call art. Now, I do agree with him to a point. I would not want all museums to fall prey to pop-trend, movie-hype, meme of the day filler just to get the turnstiles moving. Museum endowments are whiddling away and something has to change. I think that spicing up the museums palettes a bit to generate interest is fine. The mood will not be corrupted. No matter how much Blake hyper-ventilates over this trend the museum model will never equate to a get rich quick for-profit model. I akin this change of becoming less 'insular' and 'going downstream' to having the Boston Pops having a night where they play tasteful sci-fi themes. Whatever happens in the museum is still going to be classy. What truly brings people to museums will never change. You have the choice of watching museums shut down or modifying their business model a bit. Personally, I wouldn't mind some of the leftist art snobs kicked out. (And yes, I'm sorry this a left wing / right wing issue. Art was taken out of the center and placed squarely in the domain of the left). At the end of the article Blake has the gall to say that while, yes, it was the industrialists who built the great museums of the past age - they were just showing that they were human. Now with people with that same mindset and better business acumen re-taking the reigns 'they better not mess with our insular vision of what art is'. Hey buddy, it was your ilk's turning away of the common folks sensibilities towards art by calling a Crucifix in a jar of urine art and other items like that that started this downward spiral. Now we have to come back in and clean up your mess. And for a quick clarification I really talking about art museums here. That is where the most controversies lay. Science and history museums while in a bit of the same pinch aren't really susceptible to the 'vision thing' issues - as much. In an earlier blog I noted that the Albert Einstein archives were being digitized and put online. 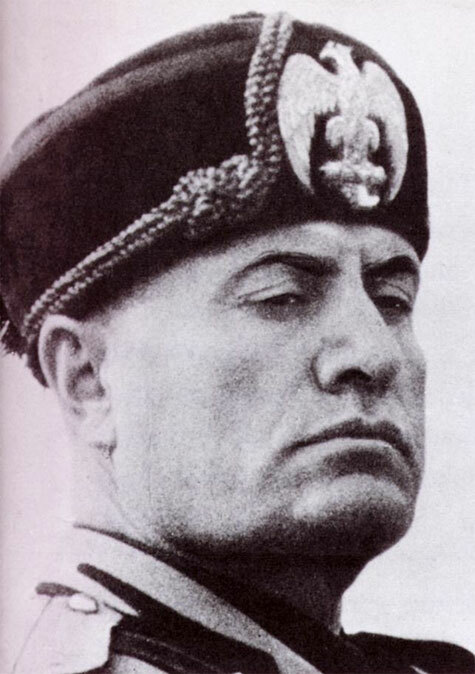 Well that trend of making documents available online continues with the announcement this week that the video footage and propaganda reels of the 'Il Duce' Benito Mussolini will be made available online. In a deal with the Italian government over 30,000 newsreels and documentaries will be hosted by YouTube in the new channel Istituto Luce-Cinecittà . This is part of a larger effort by Google to make available world historical archives and documents. Other documents include the Dead Sea Scrolls, the Nelson Mandela archives and images from the Yad Vashem holocaust museum. I support this effort of Google. I think that this is a noble effort which should be supported and lauded. This is a nice content diversification for YouTube. Plus, I think that it ensures that these documents remain online. They could be hosted by a government site or a site supported by a grant, but that is a mercurial existance with no garauntee of being around in the future. I understand that little is garanteed in life, but YouTube/Google is theoretically self-supportive. With Google/YouTube there is the best chance of these documents remaining readily available. Reading this article reminded me of a couple that my Mom and I used to know. This note is significant because it was listening to their stories which helped forge an interest in me towards history. They were an old couple Alfred and Mary Clark. We met them when we used to live in Whiting Farms in Holyoke. They met when Alfred was with the army in Italy during WWII. Mary was Italian. She used to tell stories of what it was like to live in Italy during the Mussolini regime. She was quite proud when she said that she was present in the crowd when Mussolini was strung up in Milan. A bit macabre, yes, but it sparks the memory. I was always fascinated by the stories she told with her old pictures and memorabilia which she had in her apartment. Its partly those memories which drive me to tell my own in the hopes that I can spark a similar interest in others. Two items on the agenda this evening. First off, concerning the branch closings in the City of Springfield. I recieved an email update on a proposal for an addition of a $5 trash fee to pay to keep the branches open. This is why I don't vote Democrat. It sounds great on paper, but in reality it won't work. For starters there is no guarantee that the money will be directed to the library system. OK, sure, this time around they keep the branches open, but a couple of budgets down the road those branches will be on the chopping block again. That extra $200,000 (proposed figures) will be spent somewhere else and the people will be stuck paying the added fee. So, while I support my public library, I have to say that this is not the answer. On one hand it is not fair to those that do not use the library. Yes, many people pay taxes of which some of those revenues go to pay for services that they do not directly use. I understand this. However, this proposal is specific. There is going to be resistance to it. It runs the risk of making people angry at the library system. It is sad to say, but not many people out there are civic-minded anymore (for a diverse amount of reasons). And on the other hand, it is like I said earlier the money will be wasted on projects of a different intent. Just look at the tolls on the Mass Pike if you don't believe me. They were supposed to be removed decades ago. The government will never give up a tax, fee or fine - ever. So don't be fooled into believing that this trash fee proposal is going to save the day. What you need to do is prove to the city that those branches are needed. People need to organize and use the branches. Cite statistics. Tell stories. If the city feels that those branches are necessary they will be kept open. Or you just wait for the national economy to pick back up and the branches can be re-opened then. Second item, Shutesbury, It appears that their new library will not be constructed as it was proposed. After much political infighting, votes, appeals, lawyers fees and I think at one point they were throwing melted ice-cream cones at each other it is done. I guess that I have more time to visit their quaint little library. On this note I am sad. The state funding was in place to take a majority of the burden. Still though, this is where I have to say it is on us as library supporters to go out and make the case. The cities and towns need to feel that these places are indespensible. Shutesbury was split right down the middle on this. If just a few of those families were willing to support the proposal it would be a different story. Support for libraries is not a left / right / democrat / republican issue. This is local issue and it is fought in the hearts and minds of your neighbors and friends. Dateline - Minnesota. Now here is an interesting article. This issue has been in the news here and there as of late - Public Breastfeeding. Now leaving the salacious details aside - is this a library issue? It is not exacting two concepts one commonly puts together. However, if this happens in your local Walmart having it happen in the library was due to happen. 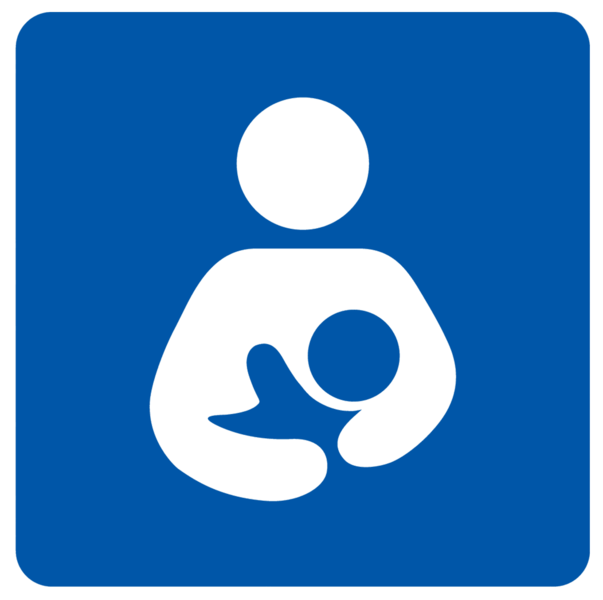 In the article a woman who was breastfeeding her child was asked to leave the premises of the library or to go to the bathroom and do it. She was within her rights to do so, but the security guard and librarian asked her to be more discreet. When she refused and a police officer showed up the officer informed them that she was allowed to do it. In my personal opinion as long as she is not being an exhibitionist about it she has the right to do it. The article says that in the opinion of the guard she was exposed - how much is not clear. The library is considered public grounds. However, I can understand the other side of this. Again, my thoughts here, why the library of all places? But then again, do I want a screaming, hungry baby in the library? There are medical, nutritional arguments against using formula; maybe she can't pump her own milk? Who knows?. Why should she be asked to leave just to feed her child? Using the bathroom is just plain unsanitary and forcing her outside deprives her of her rights to use the library. It is interesting how the library truly forces an examination of rights, first amendment conflicts, usage and access disputes. Everybody has a right to be in the library as long as they are obeying the law. This issue is a learning issue. I can't blame the guard here. He believed that he was defending the public sanctity of the library. I respect him for that. I'd like to see him in Springfield kicking out the idiots playing music in the reading rooms. The librarian too is not at fault. I was a bit put off by the reaction of the mother throwing a fit about it. She has to be aware that public breastfeeding, truly, is a long, dormant right which is being asserted again. Was she trying to create a scene for attention? I don't know her mind here. Despite what tragic turns society chooses to take the library remains a place of knowledge, learning and public awareness. Coming up next: More Shutesbury Shenanigans!